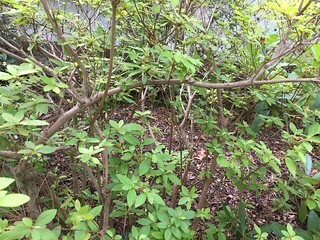 This azalea branch is toooooo long. It will break at some point. That's not great for the shrub.